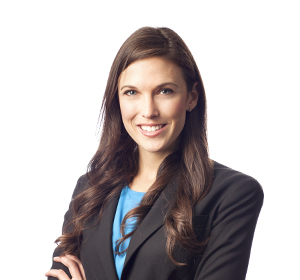 Jenna practices in the areas of natural resources, environmental, and water law. She helps clients navigate complex regulatory, permitting, enforcement and litigation matters under a range of environmental statutes, including the Federal Power Act, the Washington State Environmental Policy Act (SEPA), National Environmental Policy Act (NEPA), Endangered Species Act (ESA), Clean Water Act (CWA), and Safe Drinking Water Act (SDWA). Jenna advises municipal water utilities and suppliers to address water rights, water supply and water quality challenges. Prior to joining the firm, Jenna was an associate in K&L Gates’ Washington DC office. During law school, she served as a law clerk for the Council on Environmental Quality (CEQ), an office within the Executive Office of the President that coordinates Federal environmental efforts and works closely with agencies and other White House offices to develop environmental policies. While at CEQ, she worked on a variety of policy matters under the National Environmental Policy Act, the Clean Air Act and the Endangered Species Act. Jenna was a law clerk for the Honorable Christine M. Arguello in the U.S. District Court for the District of Colorado and served as the Senior Articles Editor of the George Washington University Energy and Environmental Law Journal. Advises Snohomish County Public Utility District with respect to relicensing of hydroelectric projects and CWA Section 401 certifications. Represented operator of a FERC-licensed hydroelectric project in action brought by landowners alleging state-law claims for property damage. Obtained dismissal of all claims with prejudice. Counsels City of Tacoma on water rights and municipal water supply. Key issues include change and transfer of existing water rights, instream flows and fisheries, trust water and hydropower licensing. Provides counsel to several coalitions of industry groups and property owners in Washington and Oregon related to recent changes in the Federal Emergency Management Agency’s implementation of the National Flood Insurance Program. Responsibilities include: strategic counsel in response to several Biological Opinions issued by NOAA-Fisheries to FEMA regarding the effect of the NFIP on threatened and endangered species; litigation in federal court challenging implementation of the Biological Opinions; and legislative advocacy related to the pending reauthorization of the NFIP. Presenter, "The Role of Greenhouse Gas Emissions in SEPA and NEPA Review"
Speaker, "Mitigation Banks, In-Lieu Fees, and Permittee-Sponsored Mitigation – Opportunities and Challenges"